Last season, After Philadelphia Eagles starting QB Michael Vick got injured, all of the attention of NFL fans everywhere turned to backup quarterback Nick Foles. 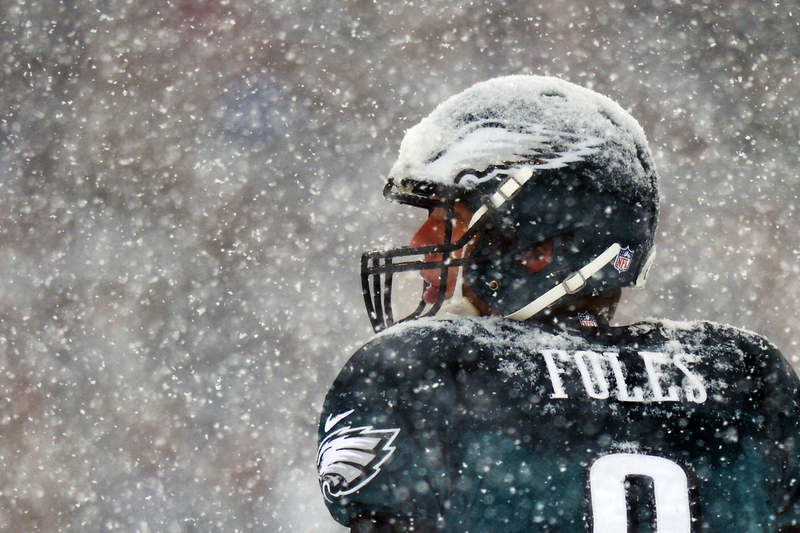 Previously, Foles had started a few games; however, he was not impressive at all. He became known for throwing terrible and inaccurate passes, and he constantly threw interceptions. Because of this, when Foles was required to be the starter last season, most people doubted his ability to succeed. Instead, they expected the Eagles to fail in a competitive division, and for them to not even be in a playoff race. They were wrong. After having an outstanding year, Foles will be given his first opportunity to actually start consistently in 2014. Though some are skeptical about his abilities, most analysts agree that he will have a great year. Right now, the NFL is moving towards pocket passers as being the main quarterbacks for teams. Over the last couple of seasons, mobile quarterbacks were expected to be the future; however, after multiple injuries to mobile quarterbacks like RGIII, pocket passers have become more popular again. This is great news for Nick Foles. Michael Vick was an okay quarterback on the Eagles; however, he was too old to be effective. Foles is one of the best pocket passers in the league. Look at his numbers from last season. In 2013, with only 10 games started, Foles was the best quarterback in the league. Over these 10 games, he threw 27 touchdown passes and only two interceptions. This is the best ratio with a minimum of 25 touchdown passes ever, he if he had three more touchdown passes, he would have broken Patriots’ QB Tom Brady’s ratio record with a minimum of 30 thrown touchdowns. Aside from this, Foles had a quarterback rating of over 119, and was one of the most composed pocket passers in the entire league. Despite this success, many are still concerned about his play next season. Obviously, the biggest loss for the Eagles is the departure of WR DeSean Jackson to the Washington Redskins. Though this concern makes a lot of sense, Foles has seemed to overcome this issue. During OTAs, his accuracy looks even better than last season, which is hard to believe, and he is already working well with rookies. In order to replace DeSean Jackson, the Eagles turned to the draft. Here, they drafted WR Jordan Matthews, who has already started working amazingly with Nick Foles and backup QB Mark Sanchez. Matthews is very similar to WR DeSean Jackson in the sense that he is a larger deep threat wide receiver; however, he is much faster and has a better build. He has the ability to better break out of coverage, and his hands are much better than Jackson’s. Sure, there might be some first year jitters, but they should be able to work this out during a long offseason. Because of this, Foles will have a much easier time getting him the ball. Expect them to be a great tandem next season. This entry was posted in American Football, Football, NFL, Philadelphia Eagles and tagged eagles 2014, nick foles, season preview. Bookmark the permalink. Pingback: Which Eagles Players Have Best Value in Fantasy Football? Pingback: How Will Lane Johnson's Suspension Affect The Eagles Campaign Next Season?